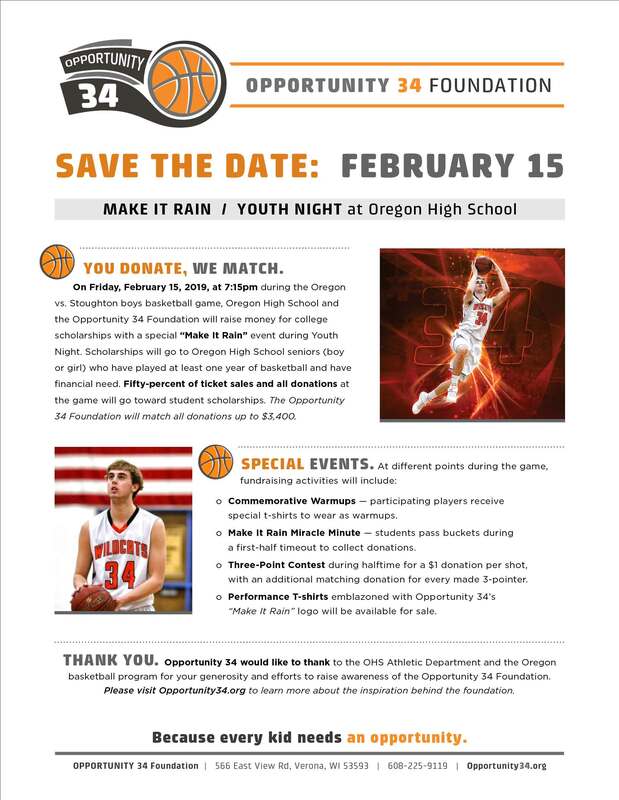 Oregon High School and the Opportunity 34 Foundation are partnering to raise money for scholarships with a special “Make it Rain” event at the upcoming Oregon vs. Stoughton boys basketball game on Friday, February 15, 2019, at 7:15pm. The Oregon “Make It Rain” event will take place during their Youth Night. Scholarships will go to Oregon High School seniors (boy or girl) who have played at least one year of basketball and have financial need. Fifty-percent of ticket sales and all donations at the game will go toward student scholarships. The Opportunity 34 Foundation will match all donations up to $3,400. Commemorative Warmups — participating players receive special t-shirts to wear as warmups. Make It Rain Miracle Minute — students pass buckets during a first-half timeout to collect donations. Three-Point Contest during halftime for a $1 donation per shot, with an additional matching donation for every made 3-pointer. Performance T-shirts emblazoned with Opportunity 34’s “Make It Rain” logo will be available for sale. All donations will go toward the Opportunity 34 Scholarship Fund. Thank you so much for your continued support. Your donations are making an amazing difference, with more than $64,000 in scholarships awarded in just over a year since the creation of the Foundation! 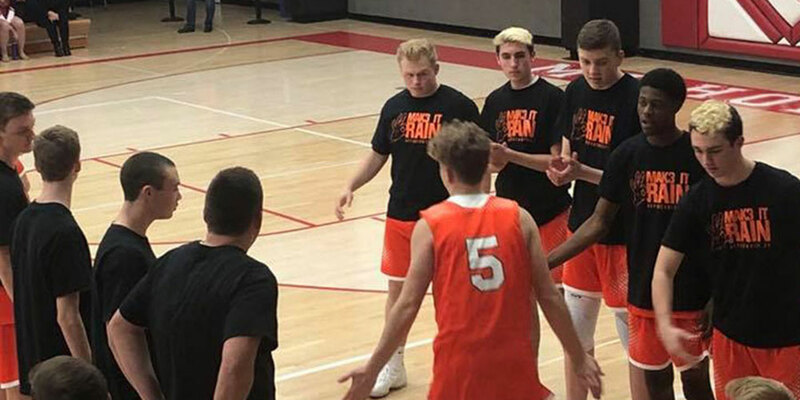 Opportunity 34 would like to thank to the OHS Athletic Department and the Oregon basketball program for your generosity and efforts to raise awareness of the Opportunity 34 Foundation. Because every kid needs an opportunity.